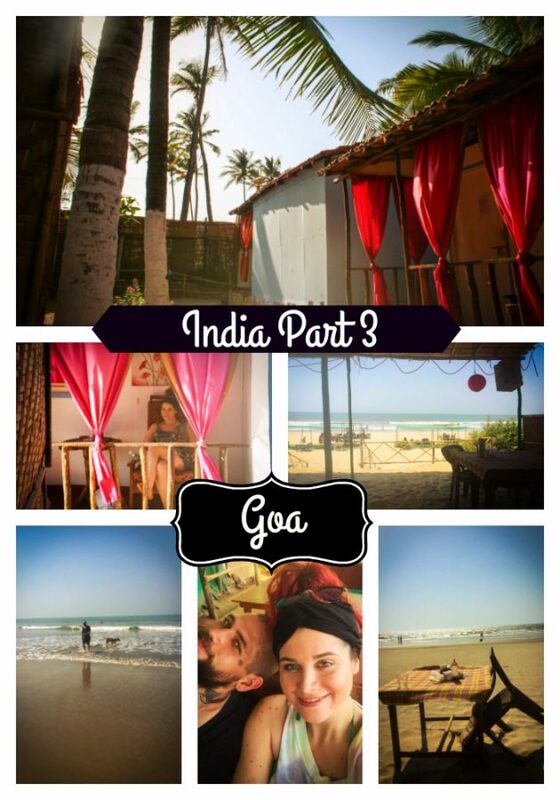 The final installment of my trip to India ends in Goa, a state in Western India on the coast of the Arabian Sea. 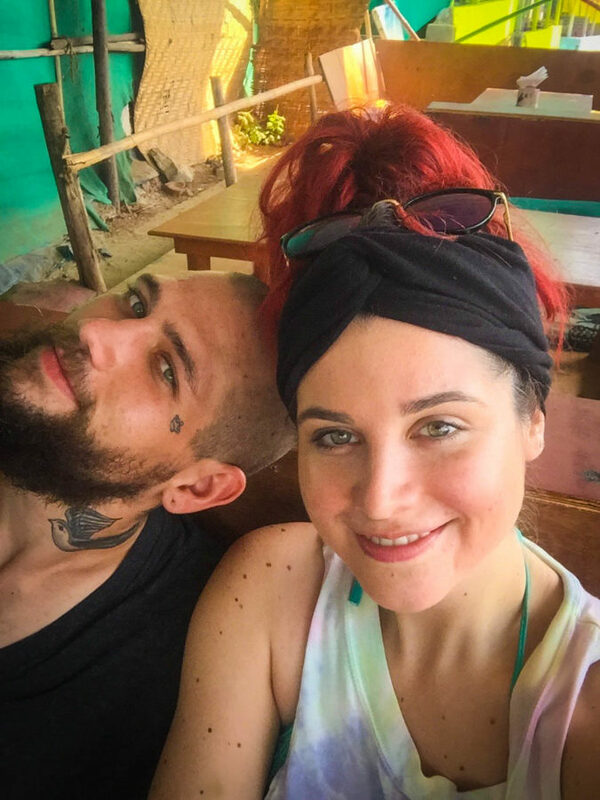 I fell in love with Goa and it was the perfect spot to end our trip with some rest and relaxation. 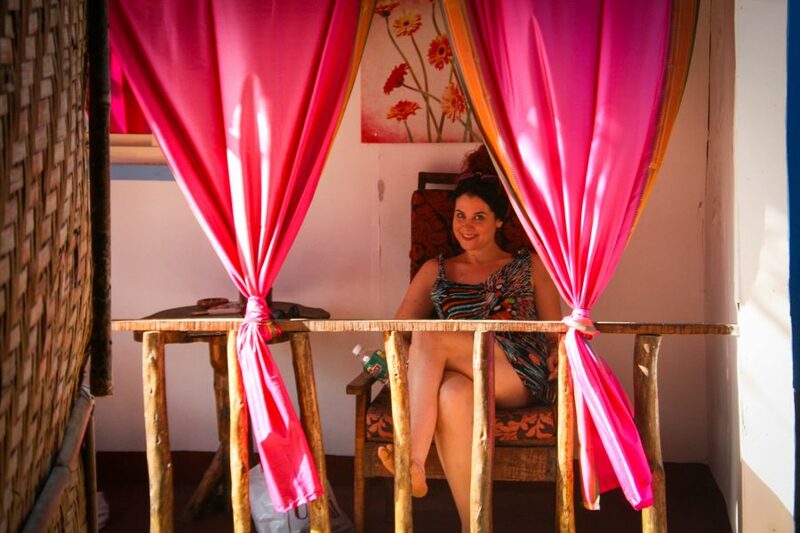 It was 33-40 degrees each day and we lounged under our beach huts while drinking and eating the day away. 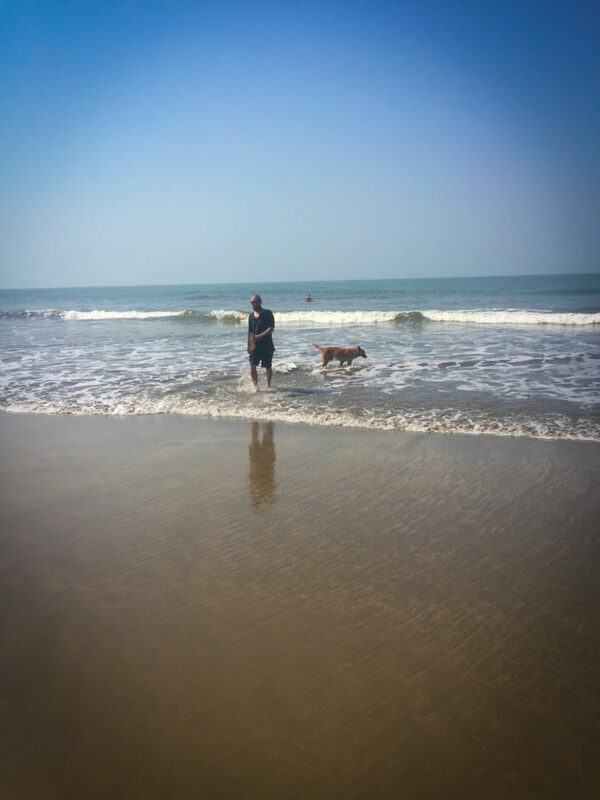 When it got just too hot to bear we would take a dip in the Arabian Sea. The water was like a bath tub and there were no shells, seaweed or rocks in sight. It was heaven! Plenty of stray doggie friends. 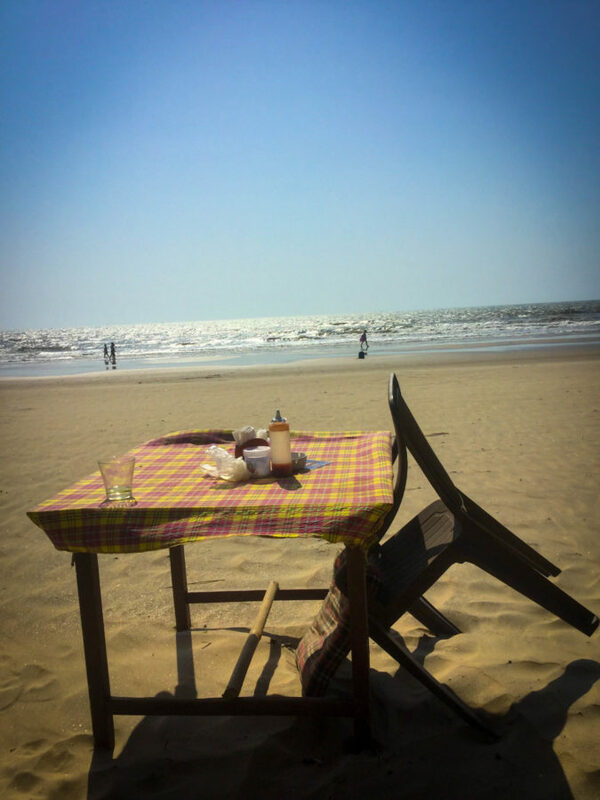 We stayed in an area called Arambol Beach and it was laid-back and low key. There are beaches further south better known for their partying if that’s what you’re looking for. Our beach bungalows at Go YM were roughly $30 CAD per night and slept three. 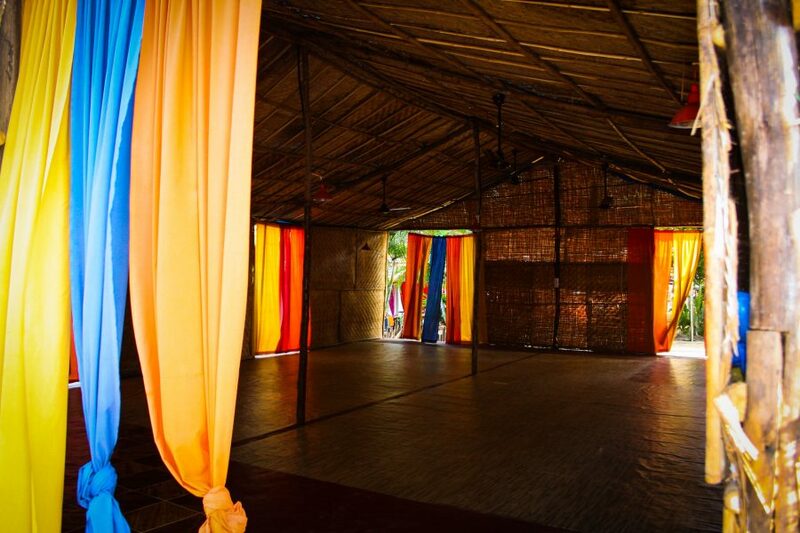 There is a large yoga room and a lovely little restaurant. Though I only ate breakfast at Go YM it was delicious every time…and they had french press coffee which is a miracle in itself in India! Each day we would go to a neighbouring beachfront restaurant called Jamaica New World ’09. 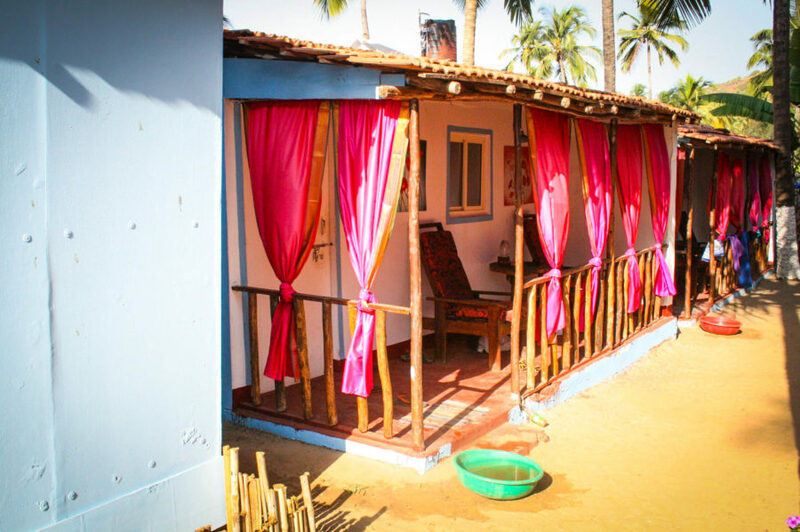 We’d grab ourselves a spot in one of their beach huts and our new buddy and waiter extraordinaire, Mintu, would take care of us all day. The food at Jamaica New World 09 (also known as Cabo Wabo Beach Hotel) was to die forrrr. I ate so many veggie momos I thought I would become one. 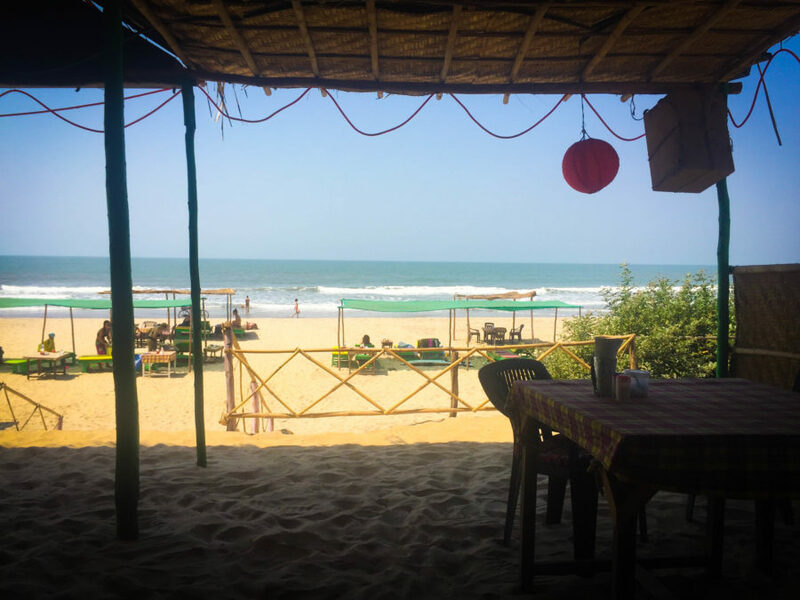 There is a small town in Arambol beach with more bars and restaurants but when you stay near the beach you really don’t have to go far. 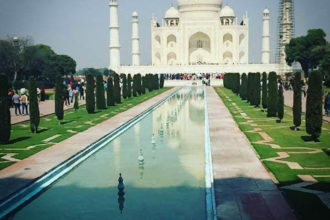 Alternatively, you can take a taxi for about an hour into the main town area where there is a ton of shops, restaurants and hotels. It makes for a fun afternoon/evening. 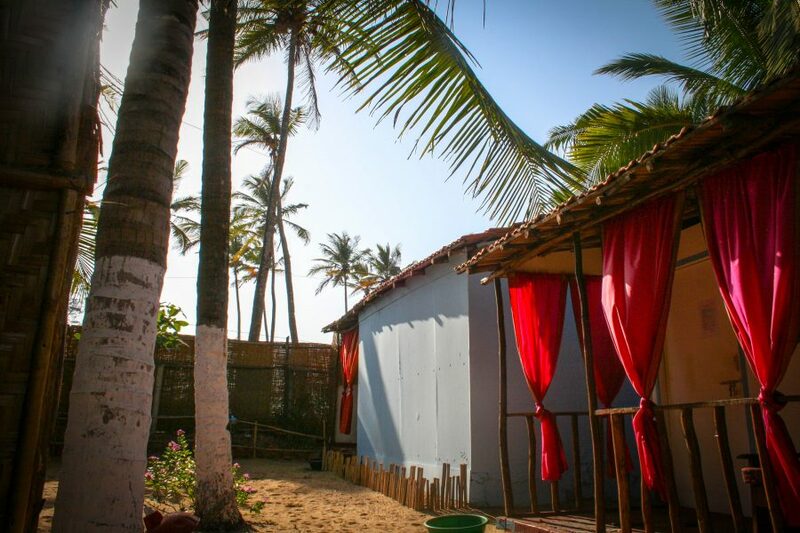 I really found that despite the fancy hotels in town, right on the beach in Arambol is where I would rather stay. 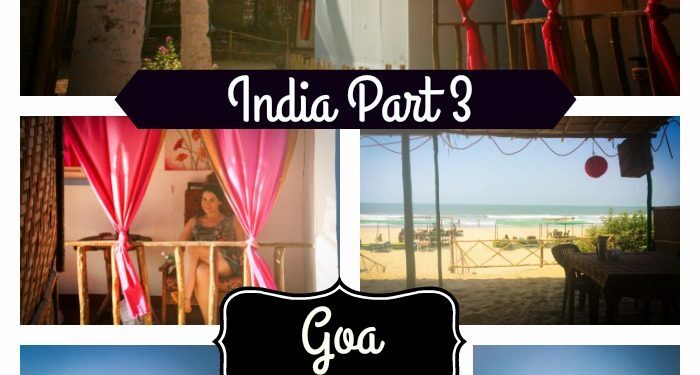 Goa is clearly much less conservative than other parts of India and a huge tourist destination. 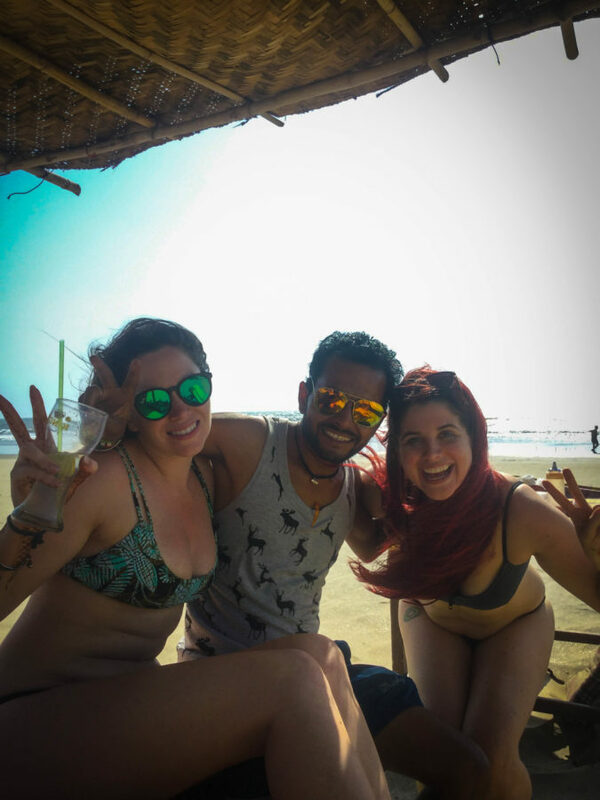 Alcohol was much less of an issue and party culture in Goa is much more visible. 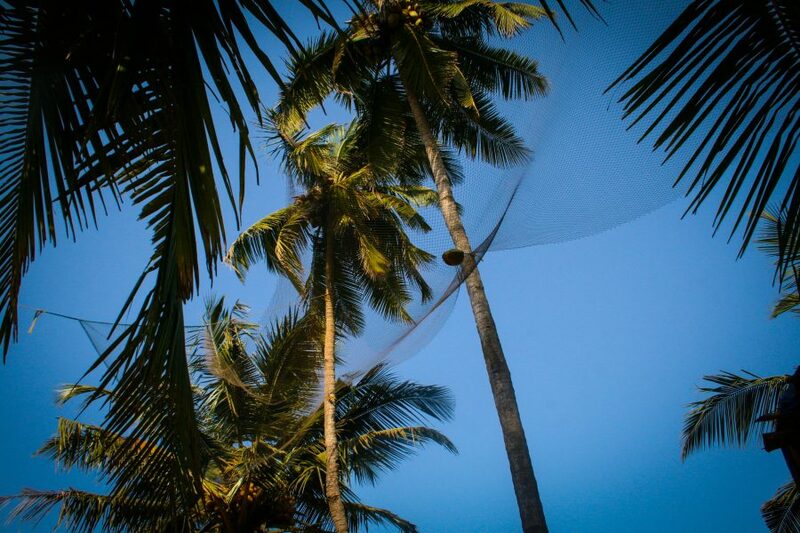 I would absolutely return to Goa and next time hopefully it’s for more than a couple of days!! 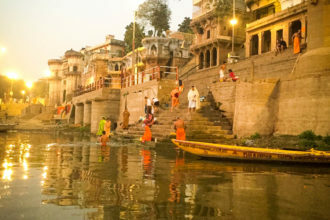 That’s it for my trip to India…next up, Australia and New Zealand round two!